Step onto our spectacular golf course with breathtaking ocean views for an unforgettable experience. Whether you’re planning a corporate outing, reunion, fundraiser, or retreat, we offer a variety of tournaments to match your group’s needs, time and budget. Planning a wedding? The open and natural surroundings of the golf course offers a unique and memorable backdrop for your special event. For golf events contact Chad Dusenberry, Poipu Bay Golf Course Group Coordinator via email, or telephone: 808-855-2362. There’s no better way to end your day than with a Hawaiian sunset. 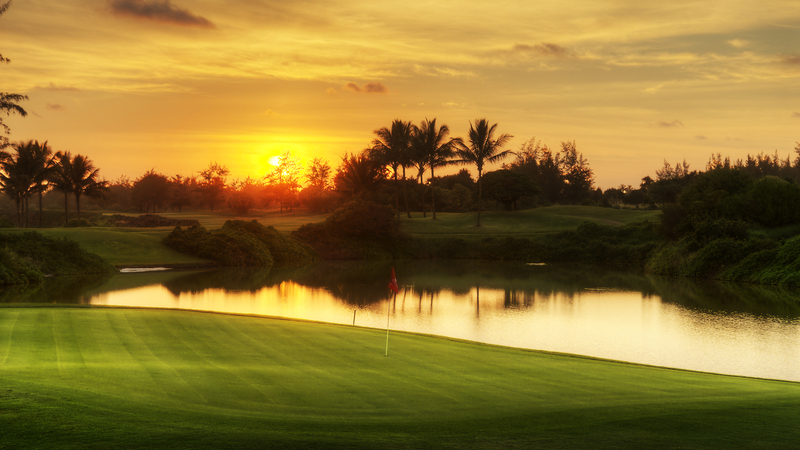 Experience our exclusive self-guided Sunset Golf Tour at Poipu Bay Golf Course. It’s the perfect chance to watch the majestic colors of the sunset come alive. Look closely and you might even see a rare Hawaiian Monk Seal or green sea turtle in the waters below. You’ll never be short of photo opportunities. Juice and water provided. Check-in times may vary depending on the time of year. For more information or to make a reservation please call 1-800-858-6300 or 808-742-8711.